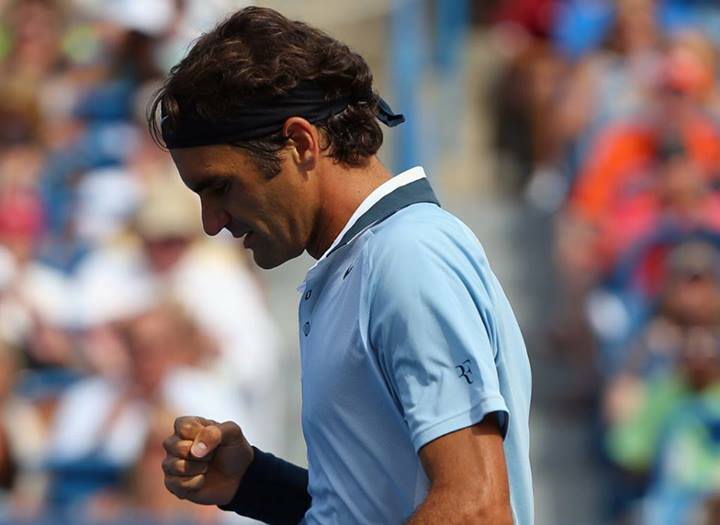 Roger Federer had to fight hard Thursday afternoon against good friend Tommy Haas, as the Swiss maestro overcame a slow, lethargic start to rally for a three set victory. From early on, it seemed to be all one way traffic, as the German twice broke the 5-time champion in Cincinnati en route to an easy one set lead. Then he would break again, going up 3-1 before Federer mounted his comeback. After showing frustration and later breaking for 4-all, the Swiss found his rhythm, and more importantly, his footwork. The crucial break came up 6-5 in the second set, evening the match and giving the Swiss the advantage of serving first in the final set. Both players displayed fine quality play, with Federer improving his return game as the match went on. A single break at 4-3 would quickly set the Swiss forward, and he served out the match comfortably, 1-6 7-5 6-3, in 1 hour 52 minutes. Federer will face the winner between Rafael Nadal and Grigor Dimitrov (to be played in Thursday’s night session) in the quarterfinals on Friday. 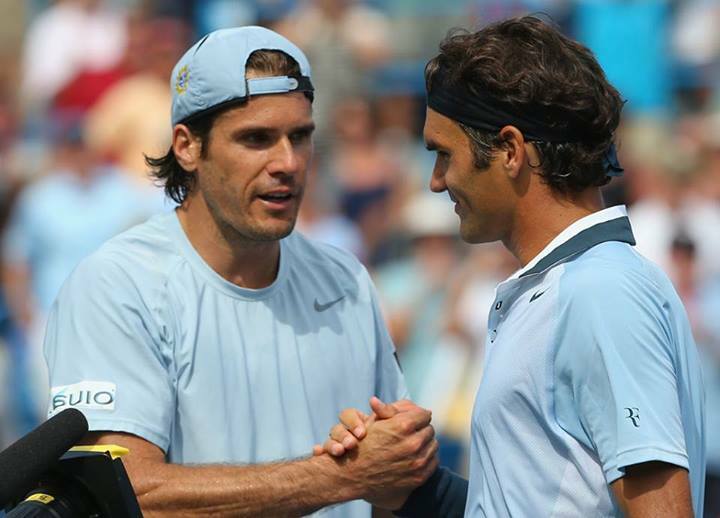 When asked about the potential match-up against his rival, the Swiss had plenty of compliments.